The unit operates on the principle of transforming the energy of electromagnetic field into other forms of energy. 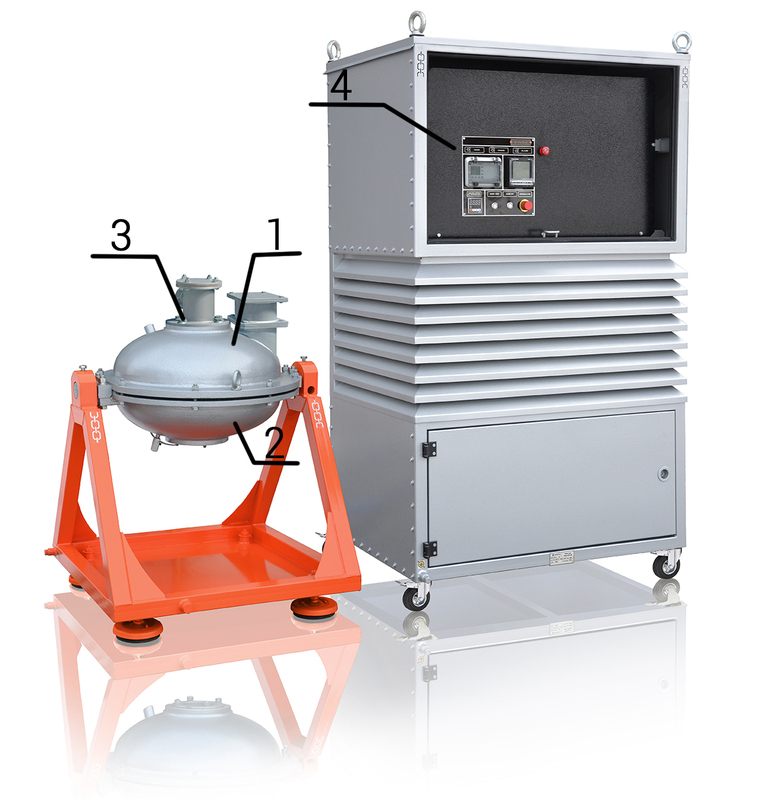 The unit is a chamber (pipeline) of 90-136 mm diameter, located inside rotating electromagnetic field inductor. There are ferromagnetic cylindrical elements of 0.5 – 5 mm diameter and 5 – 60 mm length in the operating area, from several dozen to several hundred (0.05 – 5 kg), depending on the volume of the work zone. AVS -150. Internal inductor diameter 150 mm, operating chamber diameter 136 mm.